We’re here to support your Toastmasters journey! Each Toastmasters year we have two seasons of TLI training (Toastmasters Leadership Institute). These are mainly to provide Club Officers the training they need to effectively lead their clubs, although the training is open to all members. Toastmasters Leadership Institute (TLI) Winter 2019 training is complete! 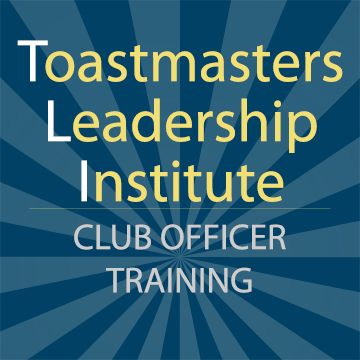 TLI – Club Officer Training sessions are free of charge. There are breakout sessions with topics of interest to the various club officer roles. 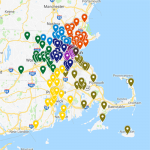 These are a wonderful way to connect with club officers in other clubs, and share ideas. Thinking of becoming a club officer for next year, or simply interested in learning more leadership skills? All members are welcome. These are held twice per year, in the summer and winter. What are Best Practices? Like all Toastmasters activities, the goal is to learn from what we do. What works? What led to success? What could have been done to enhance our success? Toastmasters who are working hard and wanting to do the very best at a new job will always ask questions like: What are the relevant Toastmasters Policies? What has been done in the past that worked well? What can be done to overcome past challenges? The purpose of these materials is to provide an archive of Best Practices for various important tasks in the District. They do not represent the only way to do your District job. But it is hoped that they will improve your learning curve. Best Practices is a living process. Make sure you provide feedback to the Program Quality Director. What did you find useful? How could they improve?